Indiavision is an Indian free to air news channel in Malayalam. It was the first full fledged News Channel in Malayalam. It has its registered office in Kochi . Indiavision started telecasting in 2003 under the chairmanship of Dr. M. K. Muneer, a leader of Indian Union Muslim League. Eminent Writer M. T. Vasudevan Nair is the Chief Programme Consultant. Jamaludheen Farooquee is the Resident director. Nikesh Kumar is the Executive Editor and CEO of the news channel. 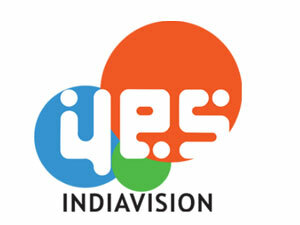 Indiavision, heralds in a vibrant, rich and novel audio-visual culture. Redefines television standards by providing value based content and the right mix of infotainment. Entertaining and edifying at once, it aims to develop viewer interests consistently and elevate tele-viewing culture constantly. Taking local and regional expressions to every corner of this global village is utmost in its mind. A gift to our own truly global citizens, Indiavision reaches out to malayalee population worldwide. It will be beamed across Europe and where regional language telecast is almost non-existent, and the whole of Middle East . Plans are afoot to launch separate channels in regional languages as well as an exclusive News channel in English. Also finalizing soon will be a tie-up with one of the most prominent channels of – equipping it with a technological and marketing edge.